Eradicate has been dedicated to delivering prompt and professional pest control and extermination services for over 30 years. Eradicate currently provides pest control services for the Greater Los Angeles County including Torrance, Long Beach, Hawthorne, Compton and the entire South Bay area. Eradicate's technicians utilize the Integrated Pest Management program to provide you with the most effective pest control solution possible. 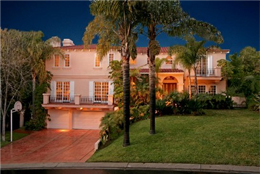 Eradicate has serviced the Los Angeles community for over 30 years. We combine our integrated pest management program with expert technicians to provide cost-effective pest control services to commercial kitchens, educational facilities, government agencies, hospitals, convalescent homes, restaurants, shopping centers, supermarkets, and other industrial and residential facilities. We are experts at exterminating bed bugs, ants, cockroaches, fleas, ticks, and rodents. 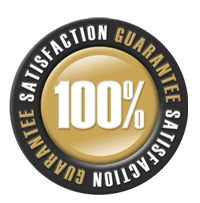 Insects and rodents are our specialty, your success is our goal, and your total satisfaction is our guarantee. Eradicate partners with our clients to come up with the most efficient and convenient methods of pest control and insect elimination in the industry. We intend to improve the quality of life for our clients by removing the threat that is caused by bugs and pests, including flies, spiders, moths, bees, crickets, and many others. Our pricing plans are extremely competitive for both homes and businesses. For a more detailed description of services we provide to the Greater Los Angeles County, Torrance, Long Beach, Hawthorne, Compton and the entire South Bay area, please call 1-888-ERADICATE (1-888-372-3422) or 310-222-1010 .